I read it at the time, and shook my head in disbelief. Actually, it was all rather believable as this is standard feminist fare. But I let it go, hoping to later get back to it. Well it is later, so I have. You can read the piece for yourself (see link below). It is mind-boggling. In her new book, “Free Women, Free Men,” Paglia explains that feminists have zero regard for procreation. “Feminist ideology has never dealt honestly with the role of the mother in human life,” she writes. Fathers care just as much about their children, of course, and they too are needed at home. But men and women are different. Men have a visceral need to provide for and protect their families, whereas women are more invested in the home. Naturally, this is a major roadblock for so-called gender equality. Feminists need women to care less about the home and their kids than they do. When an argument is made in public that it should be illegal for women to choose to be stay-at-home moms, we have transcended a cultural boundary that should have our attention and in a hurry. The greater likelihood is not that there will be a law making such a choice illegal, the fact is that other forms of coercion are probably even more powerful, including what we now see as the looming moral argument that women who stay at home with their children are a drain on the economy, because they are absent from the paid workforce. Expect that now to become rather standard cultural fare. As it is said above; "Women aren't listening". Well thank God. The point they will never get is women have more of a understanding of issues than what they give them credit for, telling them they will go to hell, that it's not about benefiting policies for their families but simply putting someone in power because of their gender, was never in the cards. If women choose to work, not have kids or families, if they chose to work and have families, or if they chose to stay-at-home, then the word feminists must accept in all these cases is...the right to chose. A nation does better when women chose to stay-at-home, it's not a law, they don't have to, they decide to sacrifice their own personal ambitions to make sure the family has a chance for a better future. They decide to take than path among many choices women have today. It's not easy to be a stay-at-home-mom, case in point, none of these radical feminists have the strength to do it. And if they do have kids, well...they will demonize their own sons and chose the path for their daughters, which makes for a very confused bunch of kids. The magic word here feminists will never get, or will never understand is; "the right to chose". 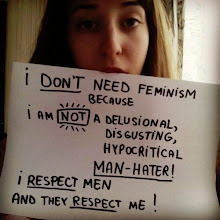 If they where for women's rights instead of hatred for the male species, they would support and promote these rights equally, but they don't, ironically and it must burn their butts, is that without men, they wouldn't exist at all would they. To be honest, it's hard to understand why they took this road of hatred and misconception about the reality of the family life, the western world is in a downfall for many reason and we can safely that, radical feminism is part of the problem. Most of us, (moms and dads) have daughters and granddaughters, nieces,, so on, do we want them to be in the home for all their lives, covered, answerable to men? As feminists would like us to believe...of course not. Some decided to be stay-at-home-moms, some run their own businesses and I am proud of all of them. Democracy not only means the right to chose, but also to respect the rights people (women) make, the sooner feminism and their manginas realize this the sooner they can come back to the human race.